You might be surprised but in just one hour you can make a multi-layered ‘crepe cake’ that will astonish family and friends. I don’t know a single Russian who eats only one pancake during Maslenitsa. Pancakes, or blini, as Russians call them, are the true symbol of this feast. Of course you can follow tradition and eat pancakes with sour cream, jams, salmon or caviar, but what if you break the rules and prepare a showstopping 'crepe cake'? Maslenitsa is one of the few ancient Slavic festivals that's still popular in Russia; maybe because it signals the coming of the long-awaited spring. This year Maslenitsa begins on Feb. 12, and ends on Feb. 18. Traditionally during the week-long celebrations people prepare tons of blini with different fillings. In Slavic culture blini symbolize the sun and are absolutely essential for celebrations. 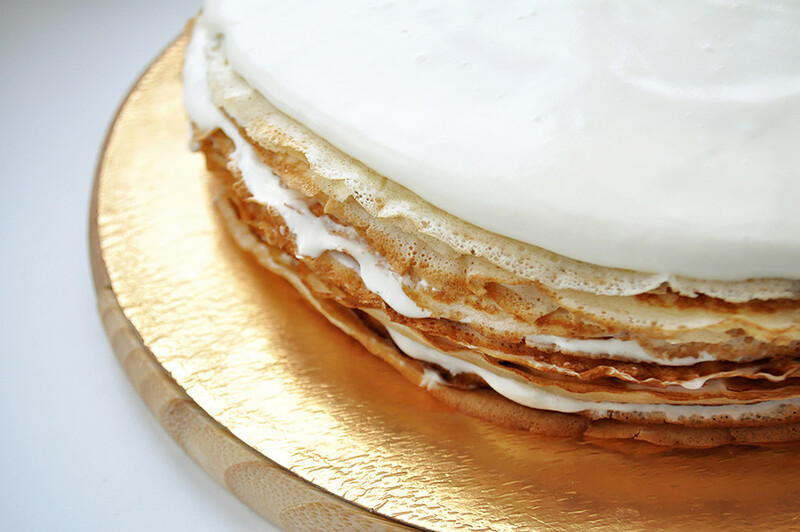 Today, however, more and more housewives give preference to a modern, layered 'crepe cake'. It's a great alternative to regular pancakes! 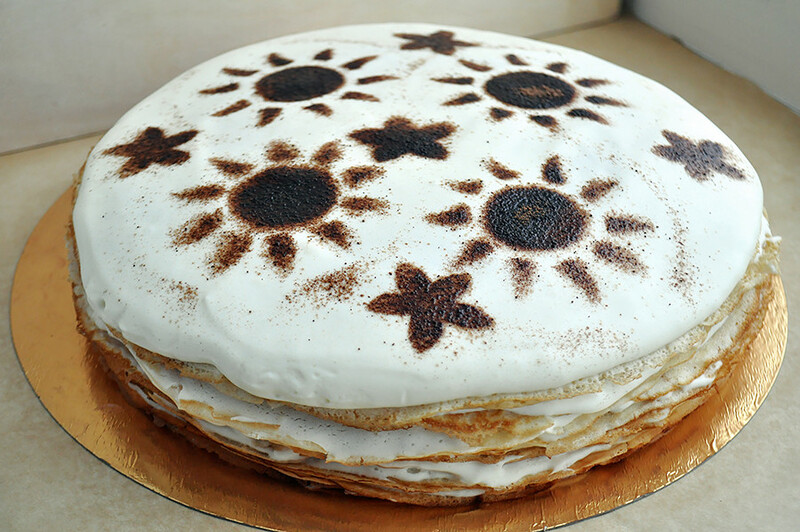 You might have seen some type of crepe cakes before, but what makes this one so special is that it needs lots of very thin pancakes to build a masterpiece. While it takes much more time than those consisting of American-style fluffy pancakes, it's really worth it. Another good thing about crepe cake is that it's perfect no matter what filling you use: chocolate ganache, cream cheese, custard, or whatever. 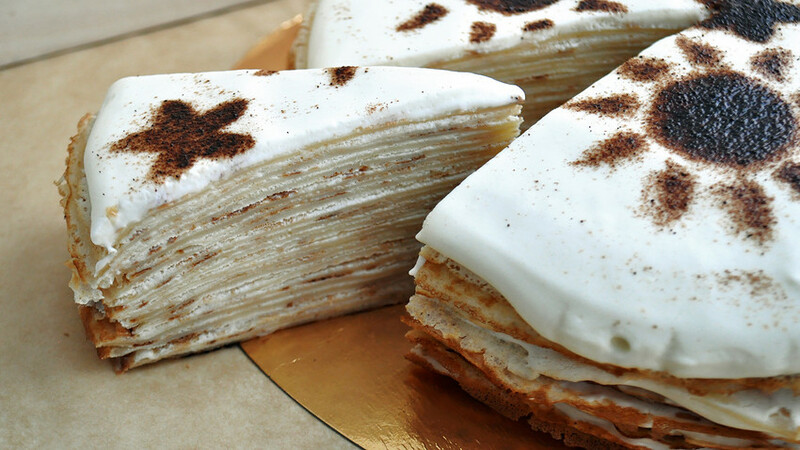 If you want to experience the most authentic taste of Maslenitsa, try crepe cake with whipped sour cream filling. Combined with pancakes, this is absolutely insane. Start with your blini: Place eggs, sugar and a pinch of salt in a bowl and mix until sugar dissolves. Then add milk with water and give the mixture another good stir. 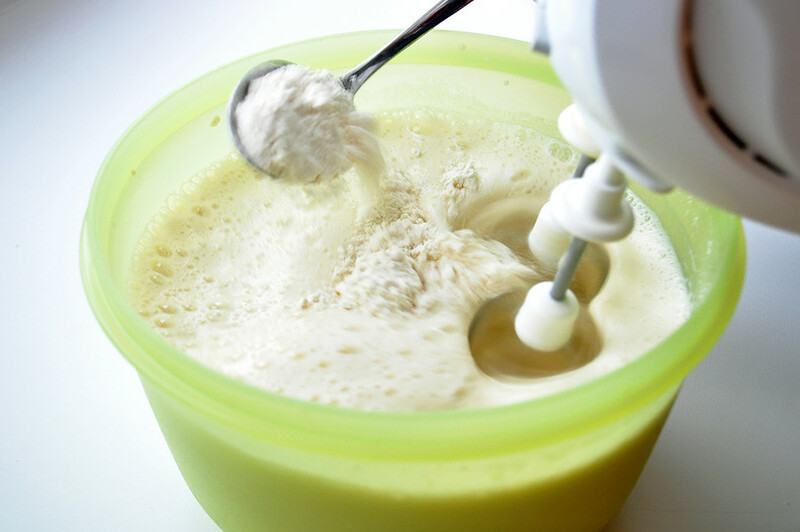 Next the flour; add gradually, tablespoon by tablespoon, and whisk to a smooth batter. Keep in mind that the needed amount of flour depends on the flour itself so better to first add less, and then decide whether you need more or not. Heat griddle to medium, butter it, and then cook each pancake until golden brown on both sides. With this amount of batter I usually can make 20-23 crepes. Let pancakes cool. 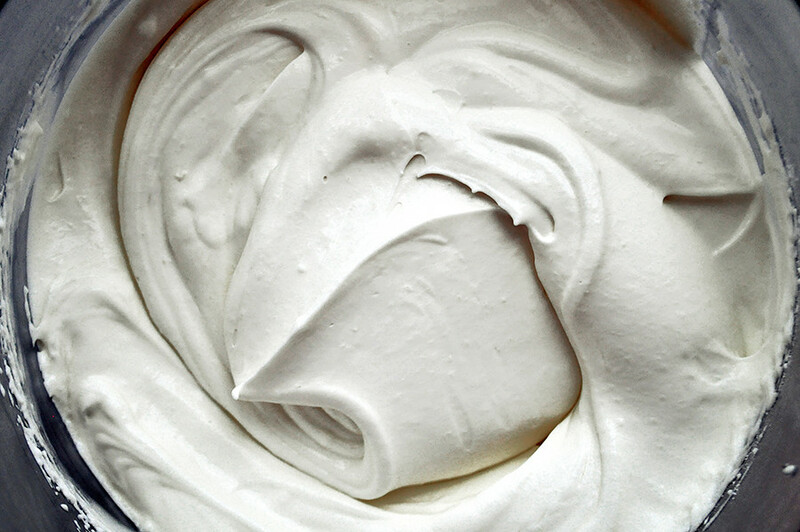 Meanwhile, prepare the perfect sour cream filling: Beat mascarpone, sour cream and icing sugar until very smooth and the cream is thick. 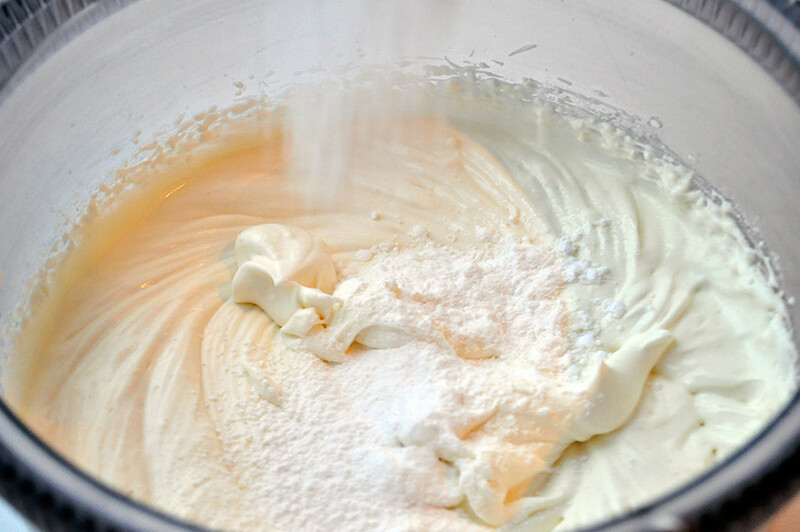 Refrigerate for about 20 minutes because it's much easier to build a cake with cold cream. Next is the most exciting part, at least for me: Assemble the cake, spread each pancake with a big tablespoon of cream. Cover with another pancake, press gently and repeat. 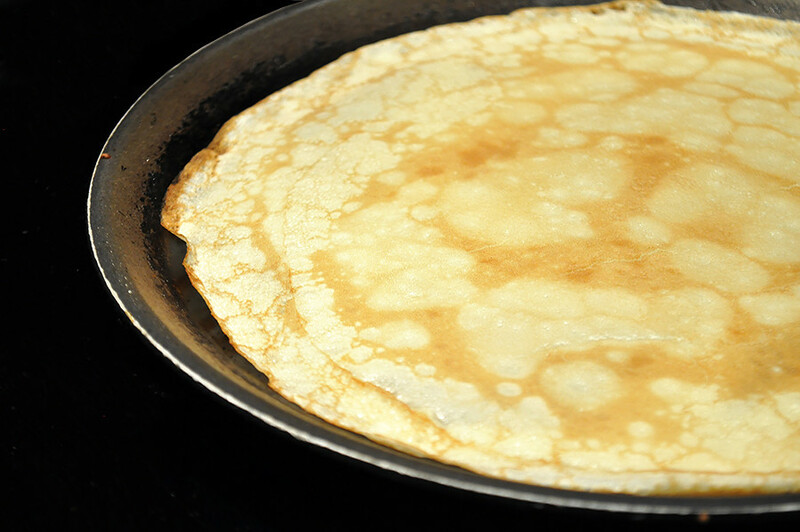 Do this until you have used all the crepes, and don’t forget to keep 3-4 generous tablespoons of cream for the top. Leave the cake in the refrigerator for at least 3-4 hours, or better for a night. Then decorate the top with nuts, grated chocolate or cocoa powder. I use sun and flower patterns to follow the spring theme. Here it is – your epic festive crepe cake is ready to be served! Welcome to Russian Maslenitsa! Check out our text on how to celebrate Maslenitsa 2018 in Moscow and St.Petersburg.